The pope acknowledged he had "hurt" people by suggesting there was no "proof" against Juan Barros, who is accused of covering up another priest's abuse of boys. ABOARD THE PAPAL PLANE: Pope Francis on Monday offered "apologies" to victims of sexual abuse after he caused outrage by appearing to support a controversial Chilean bishop. "The day they bring me proof against Bishop Barros, then I will speak. There is not a single piece of proof against him. Everything is slander. Is this clear?" 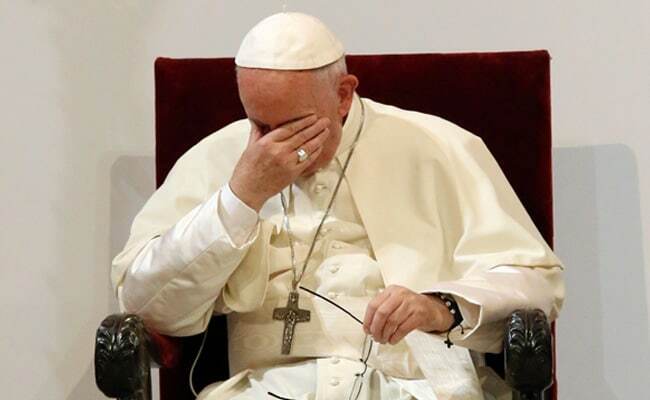 the Argentine pontiff said abruptly on Thursday when questioned by journalists in Chile. The pope also shocked many by giving Barros a hug during his visit. "I have to present my apologies because the word 'proof' has hurt so many victims of abuse," Francis said at a press conference on the flight back to Rome. "To hear the pope tell them to their faces, 'bring me a letter with the proof', it's a slap and I realise now that my expression was unfortunate," he said.